Air Force Gen. Philip Breedlove, the NATO military commander, testifies at a Senate Armed Services Committee hearing on Thursday. U.S. Air Force Gen. Philip Breedlove, the North Atlantic Treaty Organization’s top commander, said Thursday that the separatist forces have been using the relative lull in fighting since a cease-fire was signed in February to regroup. “These preparations are consistent with the possibility of an offensive,” Gen. Breedlove said at a Pentagon news conference. The Organization for Security and Cooperation in Europe has warned in recent days of an increase in violence, including heavy shelling last weekend outside the port of Mariupol, the largest government-held city in the area. A top European Union official said this week after meeting with Ukrainian leaders that they fear Russia is preparing a broad attack on their country. French President François Hollande, German Chancellor Angela Merkel, Ukrainian President Petro Poroshenko and Russian President Vladimir Putin—the four leaders who brokered the Feb. 12 peace plan—agreed in a conference call Thursday that ensuring peace is the “absolute priority,” Mr. Hollande’s office said. French and Russian officials said representatives would meet within a week to discuss reconstruction, security and how to deal with refugees who have fled the fighting in recent months. The meeting would “mark the beginning of a political phase” in trying to implement the cease-fire plan, a French official said. The Kremlin said they reported “some progress” in the cease-fire effort and weapons pullback. “We also know Putin only responds to strength and seeks opportunities in weakness,” Gen. Breedlove said. Toward that end, the U.S. has deployed additional aircraft to conduct patrols over the Baltic countries and staged additional military exercises and training in Eastern European countries. It also approved funding for additional stocks of prepositioned military equipment, a move that could allow for U.S. forces to be built up quickly in locations across the continent. 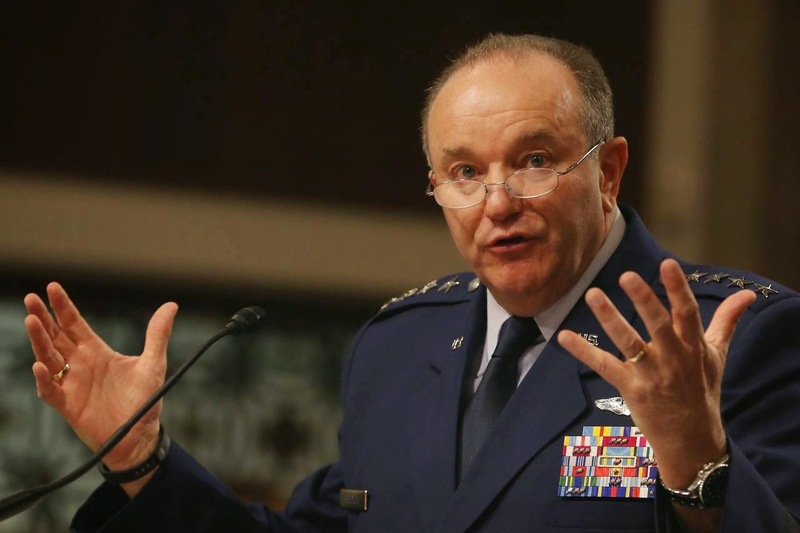 Gen. Breedlove suggested that the U.S. may need more forces in Europe as well. “The forces in Europe over the last 20 years have been sized for a situation where we were looking at Russia as a partner,” he said. Sen. John McCain (R., Ariz.), the chairman of the Senate Armed Services Committee, said the U.S. response in Europe has been taken as a sign of weakness. Having cut its Cold War era forces by as much as 75%, the U.S. in recent months has been increasing the number—and frequency—of rotations of forces into Europe for training with NATO members. The U.S. currently has 67,000 troops permanently stationed in Europe. An additional 3,000 are currently deployed there on a temporary, rotational basis, Pentagon officials said. Despite the current cease-fire, Gen. Breedlove said, in his opinion, Putin was still pursuing a strategy to ensure Ukraine is within Moscow’s sphere of influence. It looks like in the near future US will simply sell Ukraine to Russia, if it haven't being yet done so. There are rumors about Mr. Obama that he has Russian blood in him through British nobles which are also in Mr. Obama's blood. The idea above is disgusting but, could become an embarrassing and unforgettable lesson of a cold oreality. Igor, the Senate and congress have already authorized lethal aid, it is Obama who does not send it. Obama cannot just do what he wants, understand it is the Senate who declares war and the Congress and president approve it, they can however request the other parts of the government to approve a request like Roosevelt did. Many people of the USA do not like or want Obama as our president, Biden might be better as he has been around long enough to remember what a cold war is.Obama is a boy in a mans world. He is making immature decisions, if necessary the Senate can override him by 2/3 majority vote in both houses. They just need to be motivated to do so.